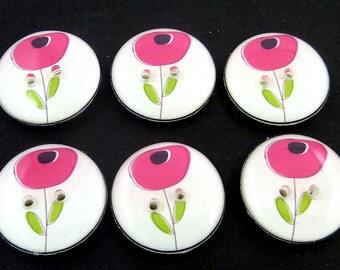 6 Pink Flower Buttons. 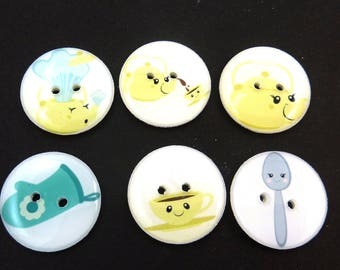 Handmade Sewing or Scrap Booking Buttons. 3/4" or 20 mm. 6 handmade pink flower. I would describe this I would describe this pink a soft dusty pink colour. Use for sewing, scrap booking and more! Approximately 3/4" or 2 cm round. Use anywhere you would normally use buttons. They have two holes in them for sewing onto your items. They are plain white and flat on the back. If you like the buttons but would like them in a different colour just send me a message through Etsy and we can work out the details and I can make buttons just for you in the colours that you want. Yes they are washable and dryer safe! My earrings can be customized. If you want a name added, a colour changed, a different size just let me know. If you would like custom image earrings please don't purchase this listing. Send me a message through Etsy and let me know the details and I will make them just for you - just the way you want them. Once we have the details worked out I'll set up a custom listing just for you. Also if you have an image - your business logo or a special photograph you have taken (your child, your pet, anything) I can add that to a earring as well. Just send me a message and I will let you know how long it will take and what the cost will be. 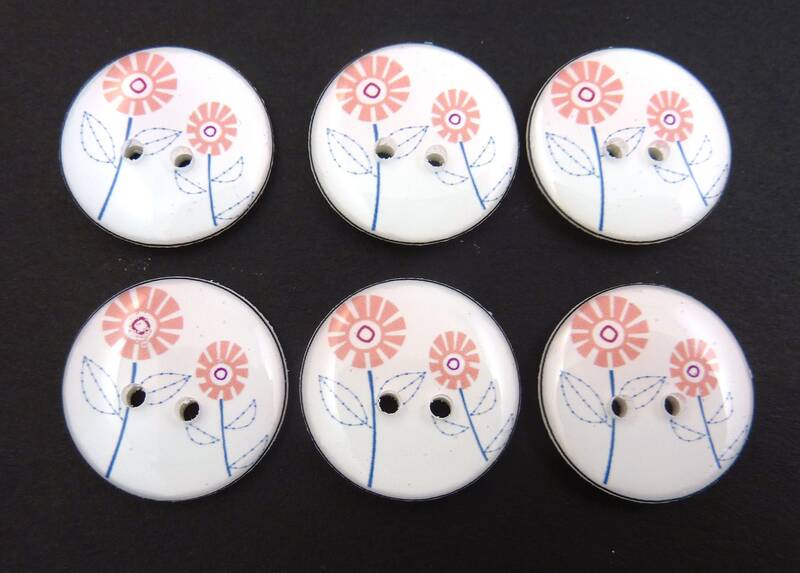 6 Modern Circle Flower Buttons. 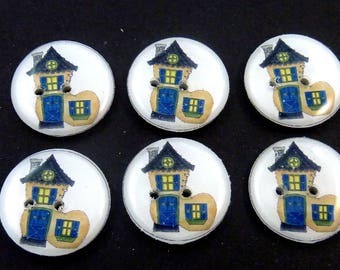 Handmade Sewing or Scrap Booking Buttons. 3/4" or 20 mm. 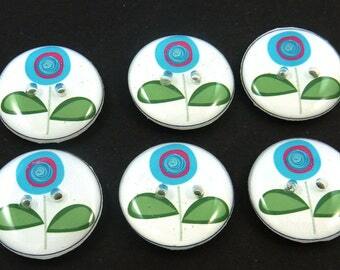 6 Modern Flower Buttons. Blue and Burgundy Circle Flowers. Handmade Sewing or Scrap Booking Buttons. 3/4" or 20 mm. I'm a Little Teapot Buttons. Handmade Buttons. 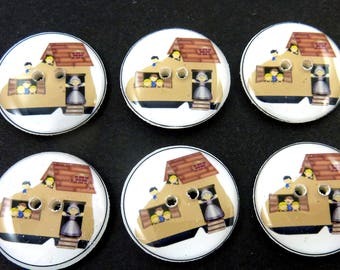 Nursery Rhyme or Children's Song Buttons for Sewing. Old Woman Who Lived In a Shoe Buttons. Handmade Buttons. 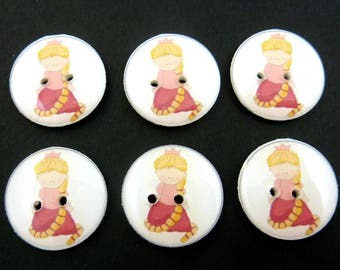 Nursery Rhyme Buttons for Sewing. 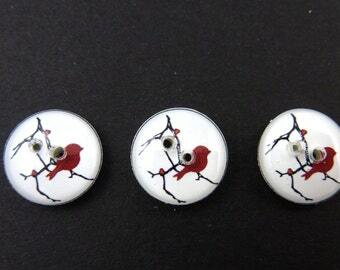 3 SMALL Handmade Chickadee or Bird on Branch Sewing or Scrap booking Buttons. Handmade By Me. 1/2" or 13 mm Round. Washer & Dryer Safe. 6 Dog Bone Buttons. Handmade Buttons. 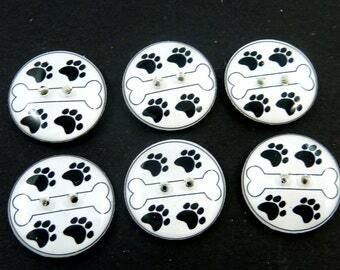 Dog Bone and Paw Print Buttons for Sewing. Pink and Fuchsia Flower Buttons. 3/4" or 20 mm Round. 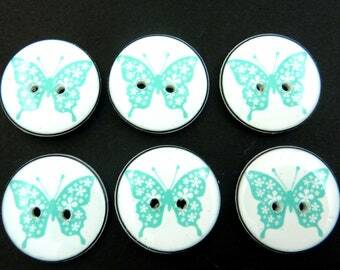 6 Turquoise Blue Butterfly Buttons. Handmade Sewing Buttons. 3/4" or 20 mm. 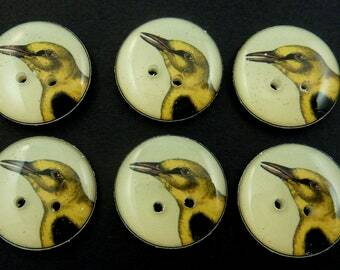 6 Yellow Bird Buttons. 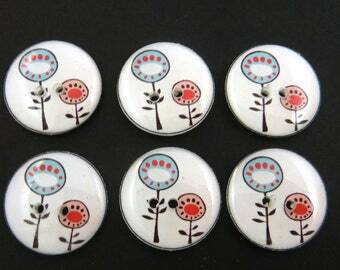 6 Handmade Sewing or Scrapbooking Bird Buttons 3/4" or 20 mm Round. 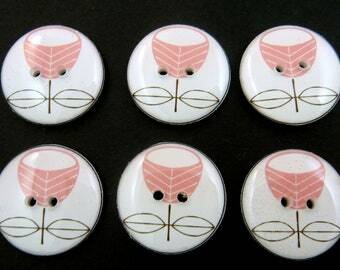 6 Pink Flower Buttons. Handmade Novelty Buttons. 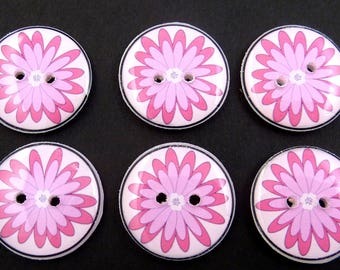 Dark Pink Flower Decorative Novelty Buttons for Sewing. 6 Turtle Buttons. 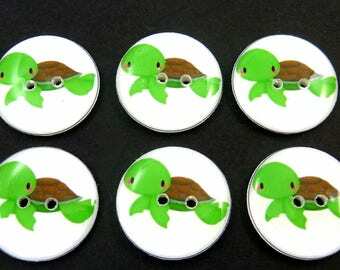 Turtle Sewing Buttons. Handmade by Me. Washer and dryer safe. Decorative Buttons. 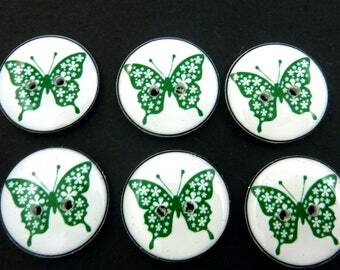 6 Dark Green Butterfly Buttons. Handmade Sewing Buttons. 3/4" or 20 mm.